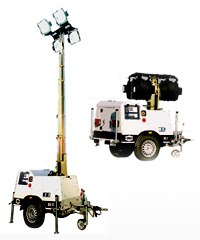 Energy Rentals Ltd is a provider of lighting, available to hire for any site or emergency application. If you need lights in a hurry, emergency lighting hire or even site lighting, festoon, tower lights, you know who to call. From our base on the London and Essex border we are well placed to cover London, Essex, Kent, Hertfordshire, Surrey, East Sussex, Berkshire, and Oxfordshire supplying specialist hire, emergency and site applications requiring lighting across the UK. Contact us today to see how we can light your project. Energy Rentals serve a whole range of clients requiring our excellent technical knowledge and stock of lighting equipment. We supply emergency lighting hire and site lighting to festivals, concerts, sporting events, large scale outdoor productions, film and television, councils, woodlands trusts, construction projects, plus many other special projects. Energy Rentals is ready and able to supply your lighting requirements. Contact us today for more information. Energy Rentals cater for many different lighting solutions and has stock available for hire for any application or site, even in emergency situations. We supply lighting for tunnels, construction sites, under gantry’s, back stage areas and complete festival and site productions. Contact us today and speak to our specialist hire team about your requirements. Energy Rentals stock many different types of lighting and have many different products available for immediate hire. We can supply emergency lighting, twin bulkhead emergency lights, single bulkhead emergency exit lights, 6ft fluorescent strips, festoon, 3 and 5 metre spacing ES lamp holders 50 or 100 metre length, flood lighting, 500 and 1000w halogens, 70w sodium lights, 400w and 1000w metal halides and sodium lights, tower lights fully electric and road towable. Contact us today and let us hire you lights the Energy Rentals way. Energy Rentals is the leading supplier of lighting solutions to industrial, commercial and events companies. If you are looking for an experienced company, with excellent stock of equipment, we can help with any site or emergency, lighting or hire application. We can deliver anywhere in the UK. Contact us today with your site lighting or emergency lighting hire requirements and let us light your site or project today.